Green Day is the greatest punk rock band of all time, having a career that has spanned over two decades. They released countless hits in the 1990’s, and were all but written off as washed up in the early 2000’s. That is until they released a modern rock masterpiece in 2004 called American Idiot. The 13 song album was originally conceived after the loss of the demo recordings of an album Green Day had been working on since 2002. The ideas from that album were scrapped, and the trio started anew. They all began writing their own ambitious thirty-second songs. These little demos were eventually put together and became the musical suite “Homecoming”. The suite “Jesus of Suburbia” came soon after, and the band decided that this album would be a “punk rock opera”. 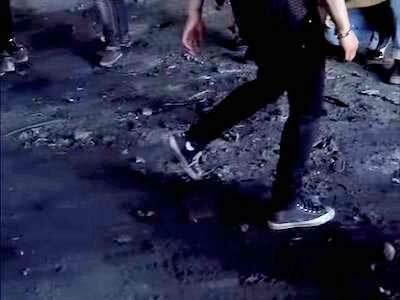 The very first shot of the music video features Jesus of Suburbia’s chucks. 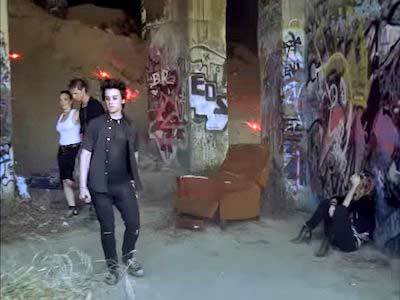 “Jesus of Suburbia” is actually broken up into five movements over the course of nine minutes. Each movement has their own title, and their own musical themes that differentiate them from one another. This is the second track on the album, after the titular track “American Idiot”. While “American Idiot” sets the tone of the album, “Jesus of Suburbia" introduces us to the main character of the story, Jesus of Suburbia (a.k.a. JOS). Jesus is a kid from a small, terrible town that has no redeeming qualities whatsoever. He is teenage angst personified, and he feels as though he is destined for bigger things. The song does an excellent job of painting a picture of the world Jesus is living in, and what makes him tick. This makes the overall story of the album resonate on a deeper level, and it makes us appreciate Jesus’s arc better. Jesus walks a lonely road, the only one he’s ever known. This music video is one of two versions that were released. One is the six minute version that went with the radio edit of the song, and this twelve minute version is complete with the whole song and dialogue. The video starts with Jesus hanging out under a highway with the other lowlifes of his town. He’s dressed like your typical punk rock teen, wearing ripped jeans, a cutoff shirt, and a pair of ragged chucks. We see his relationship with those around him, focusing primarily on his relationship with his lover Whatsername. The video stars Lou Taylor Pucci as Jesus, and Kelli Garner plays Whatsername. The plot of the video essentially follows that of the song, and we see Jesus and Whatsername galavant around town causing mayhem and making out whenever possible. The video feels epic in the way it’s shot, which fits the song perfectly. It also gives us a great picture of the character of JOS, adding to the overall story of the album. He’s the son of rage and love, Jesus of Suburbia. Feeling melancholy? Click on the links below to get a new pair of chucks to cheer yourself up.